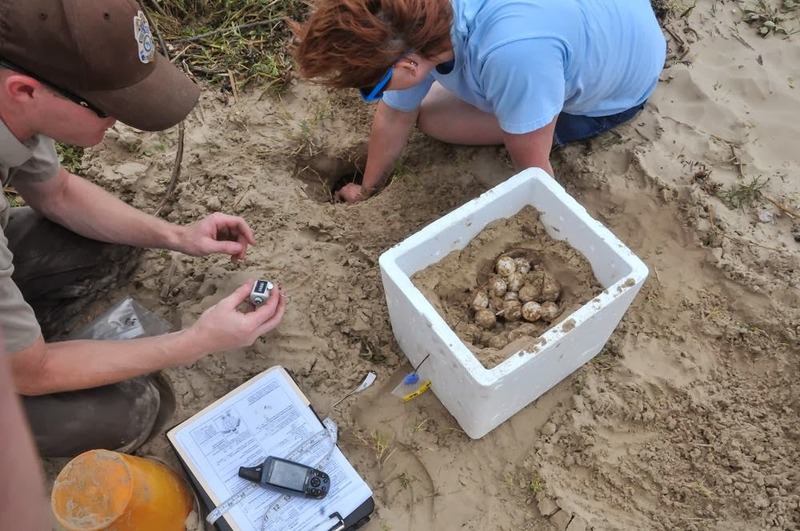 Photos in this album illustrate the procedure uses by USFWS personnel when collecting eggs from a sea turtle nest. 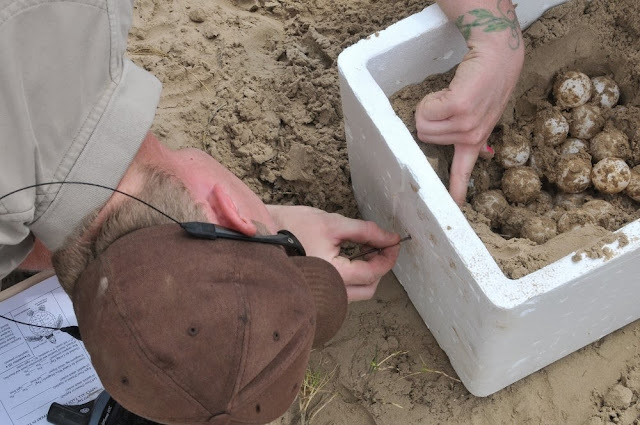 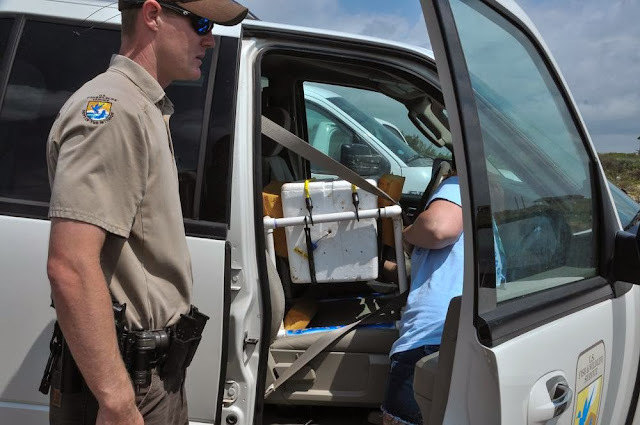 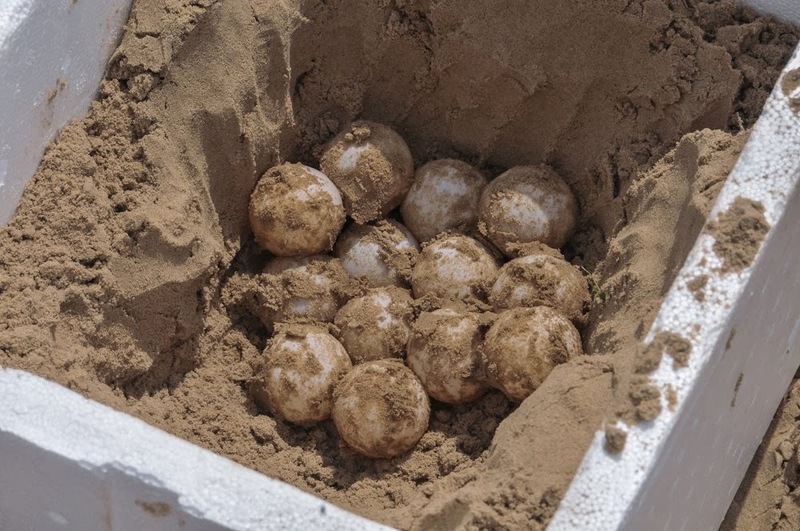 Once collected, the eggs are sent to a hatching facility. 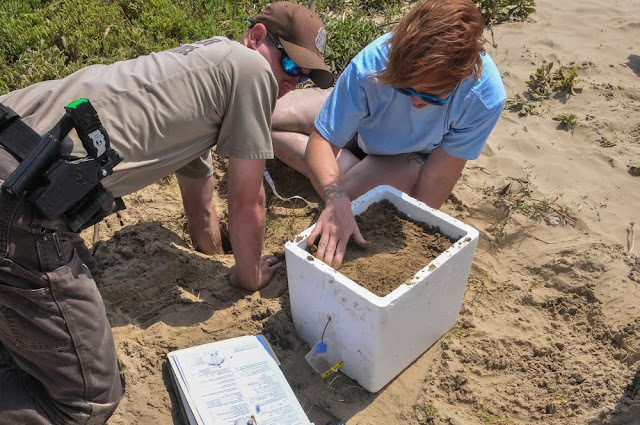 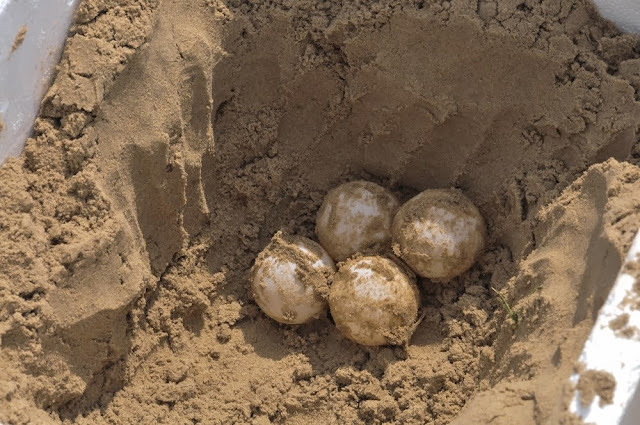 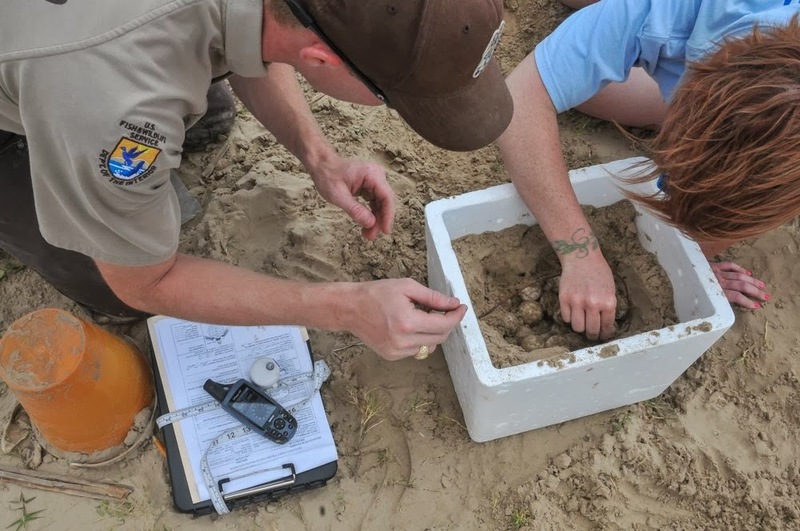 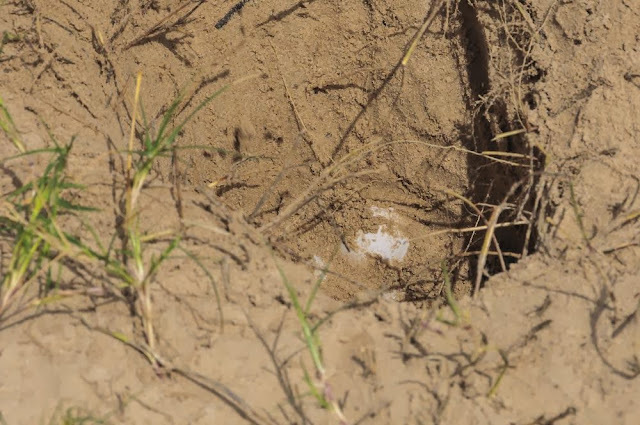 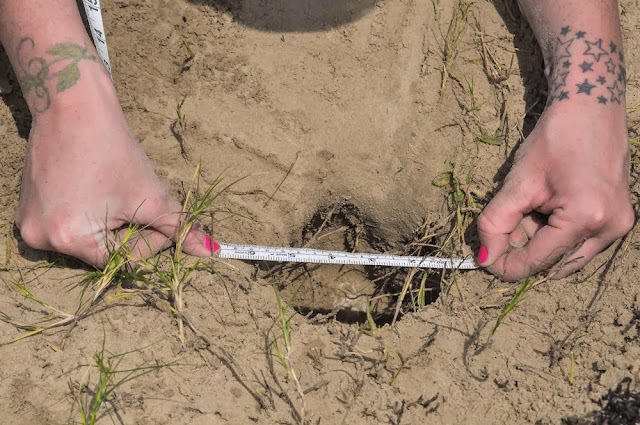 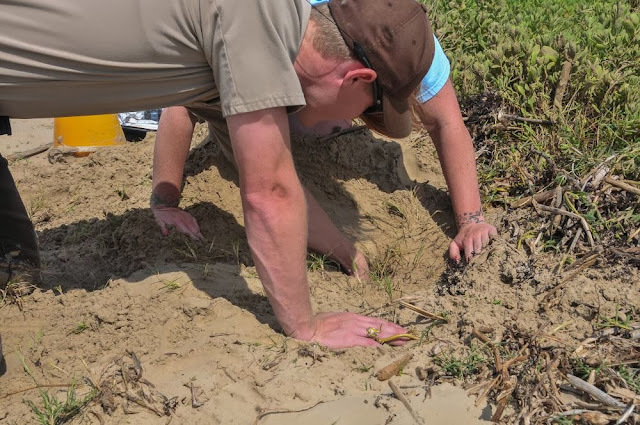 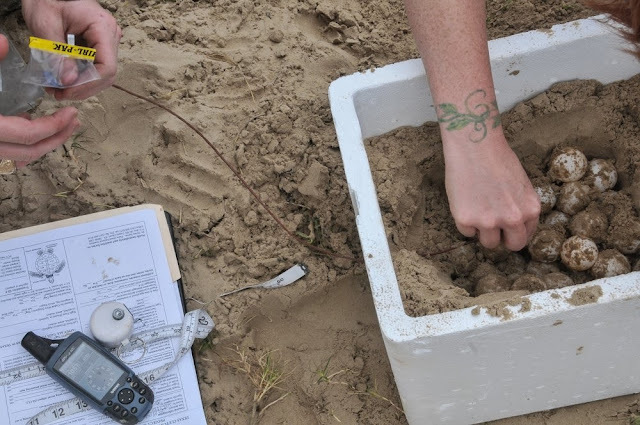 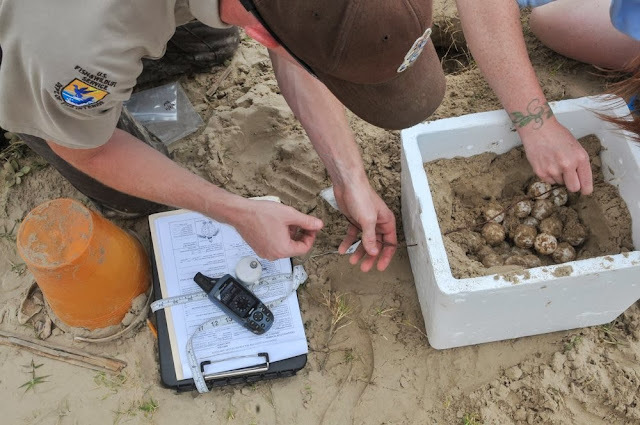 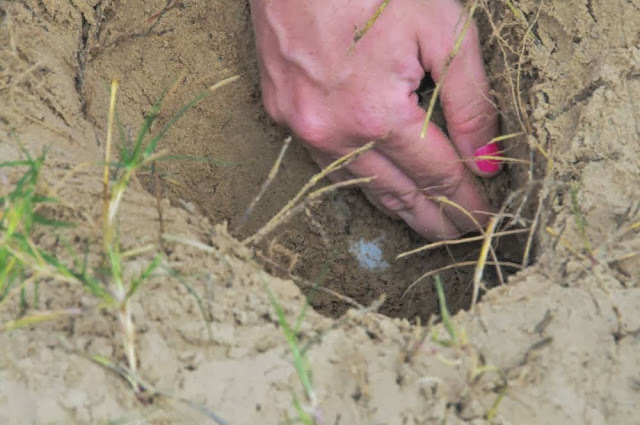 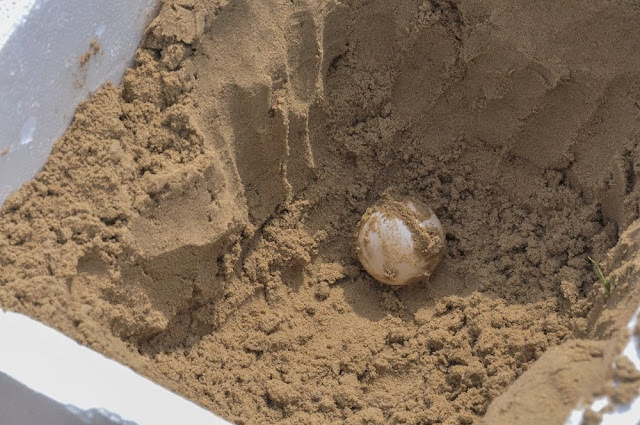 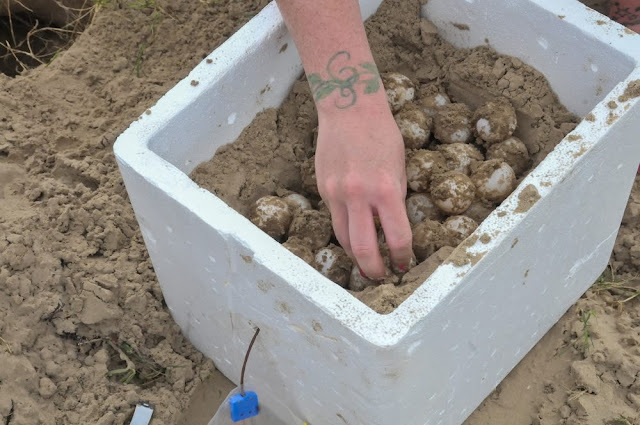 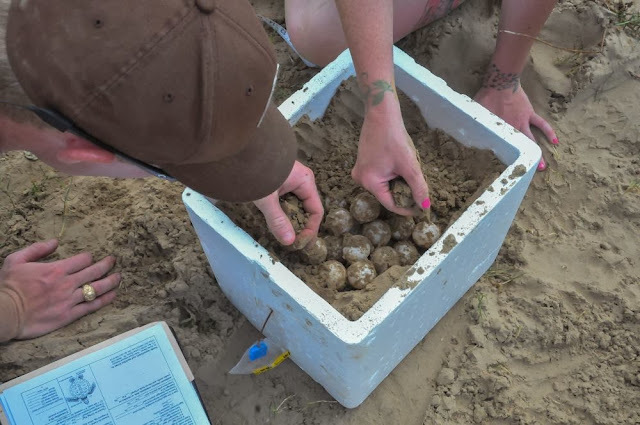 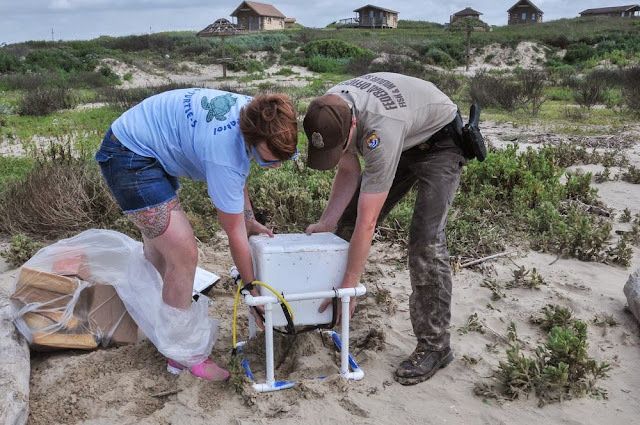 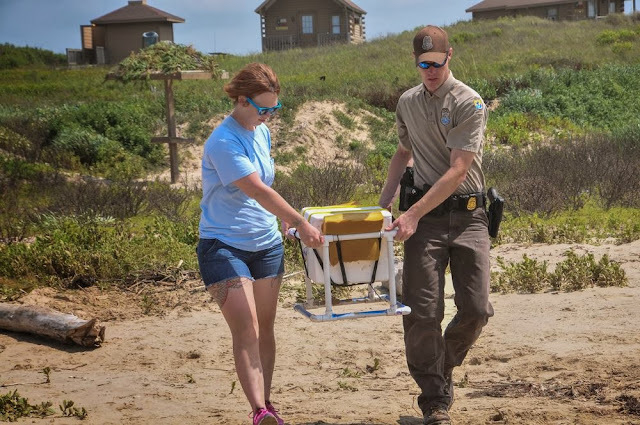 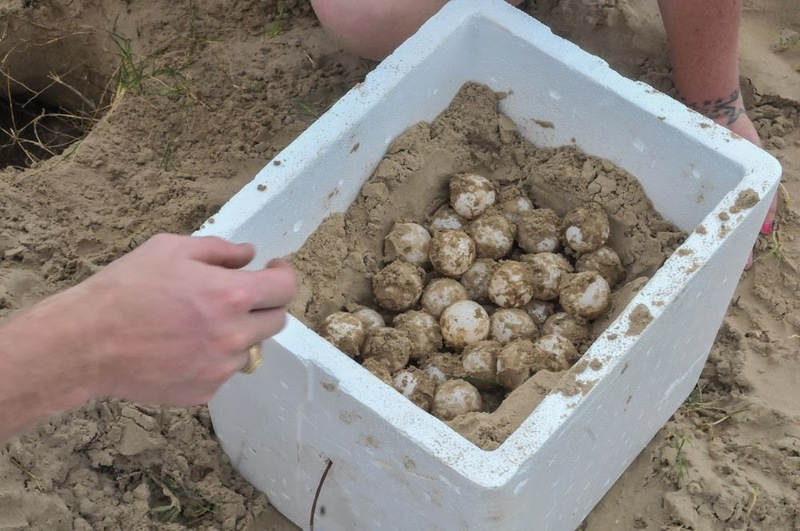 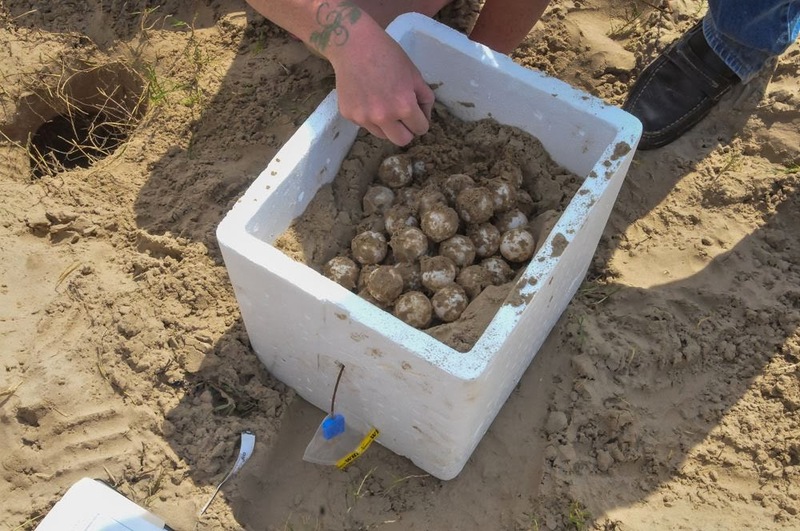 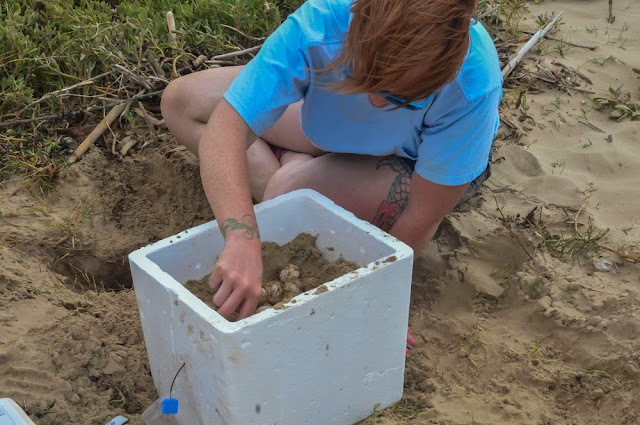 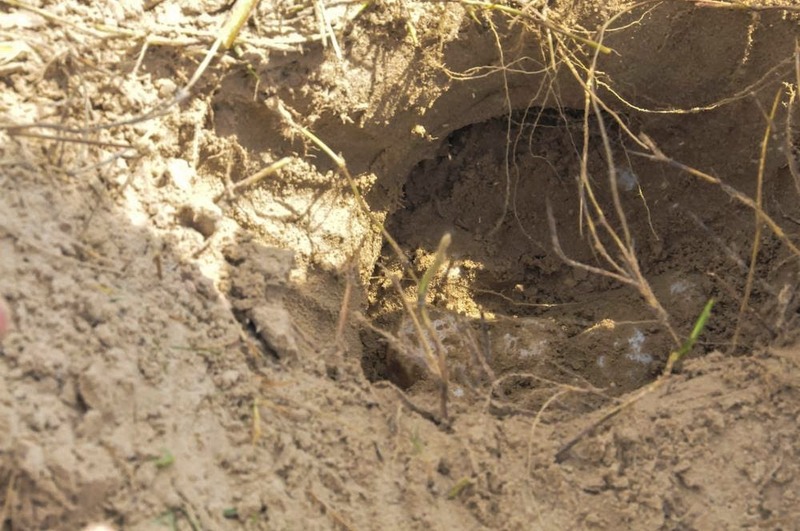 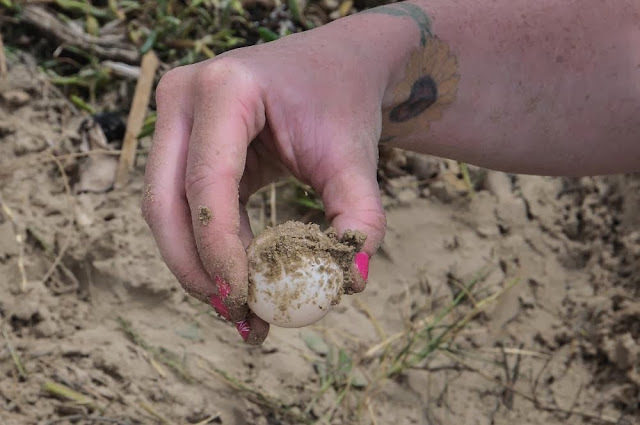 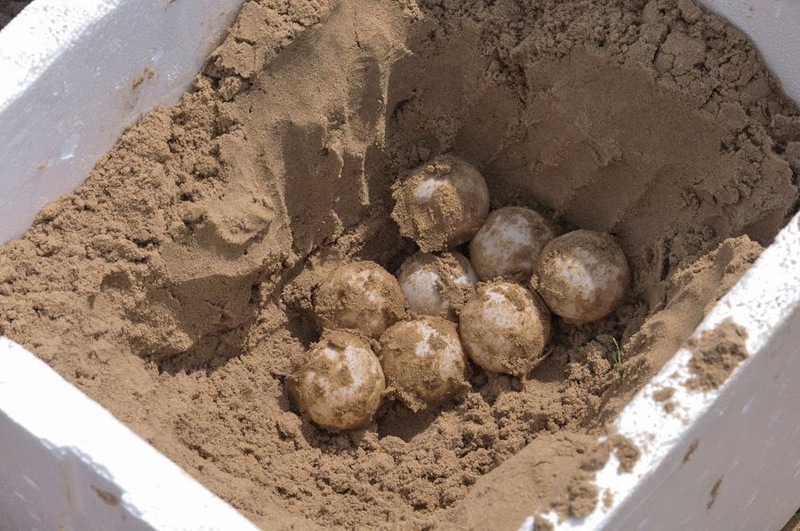 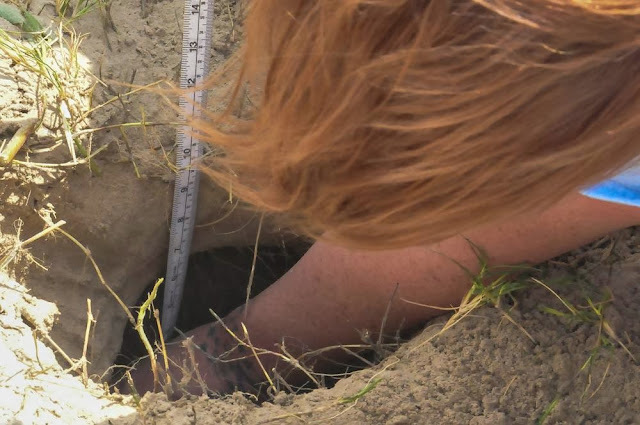 After the hatchlings emerge from the eggs, they are released to return to the Gulf of Mexico. 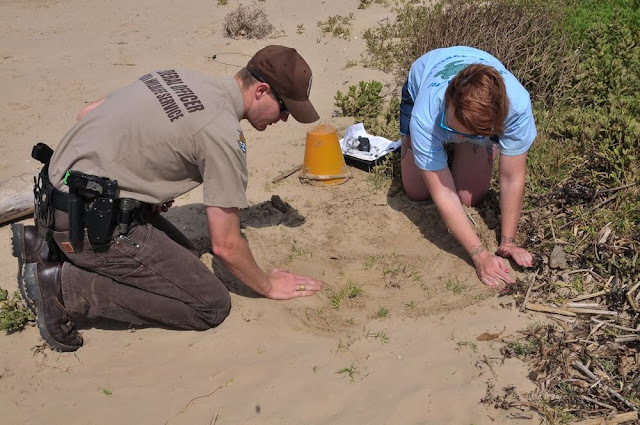 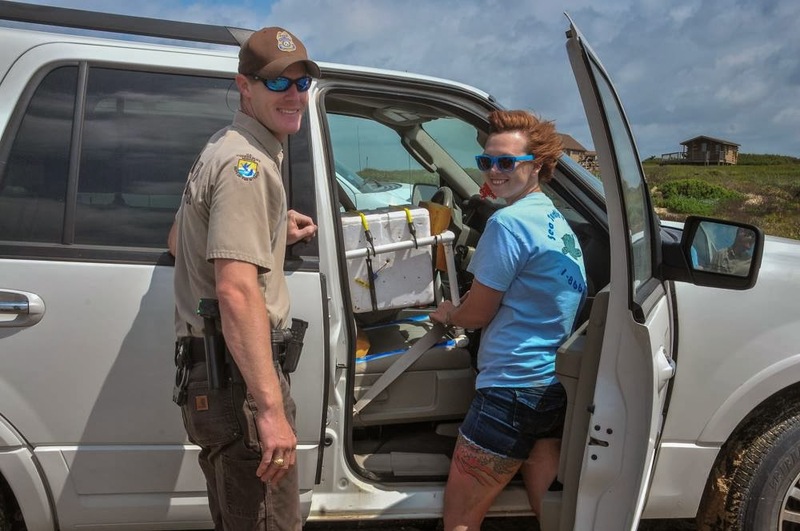 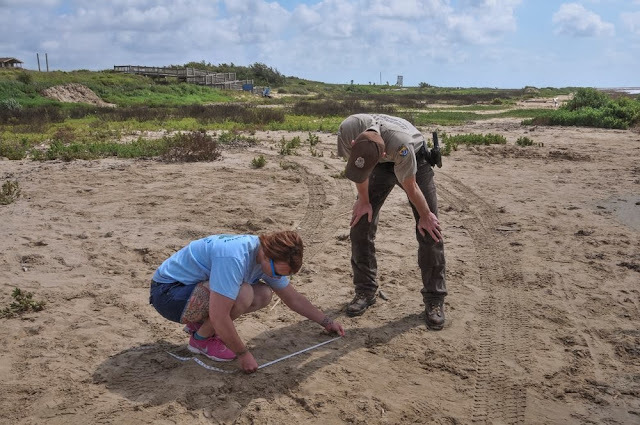 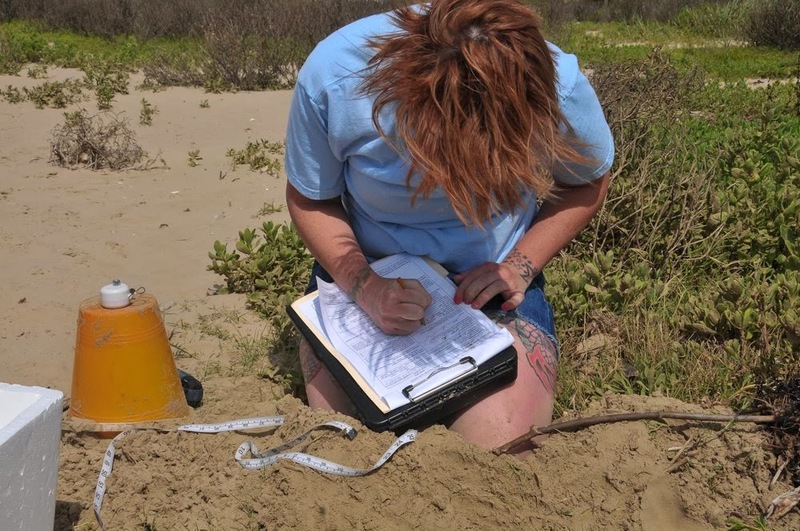 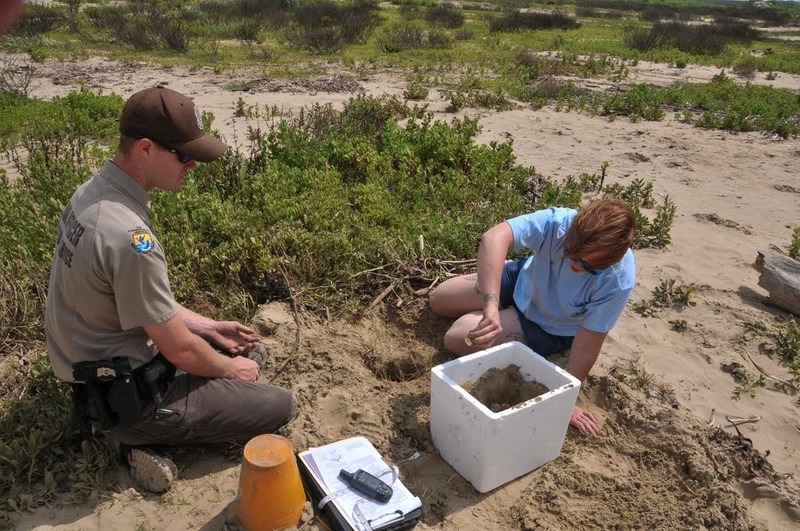 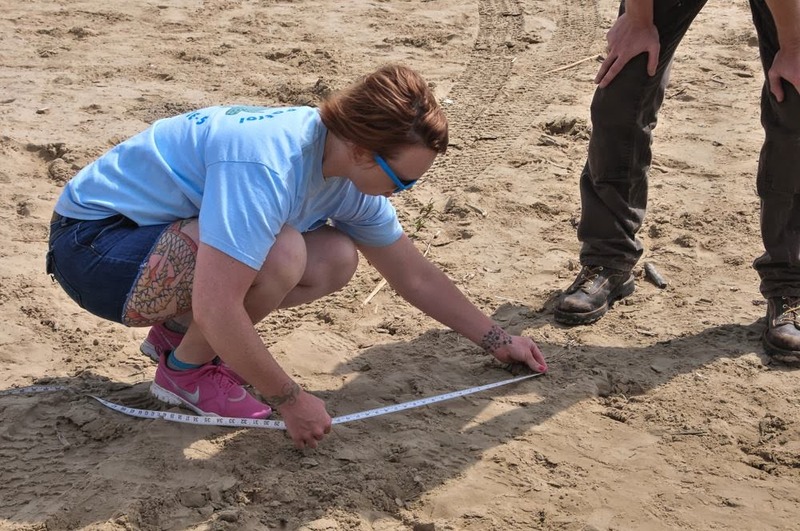 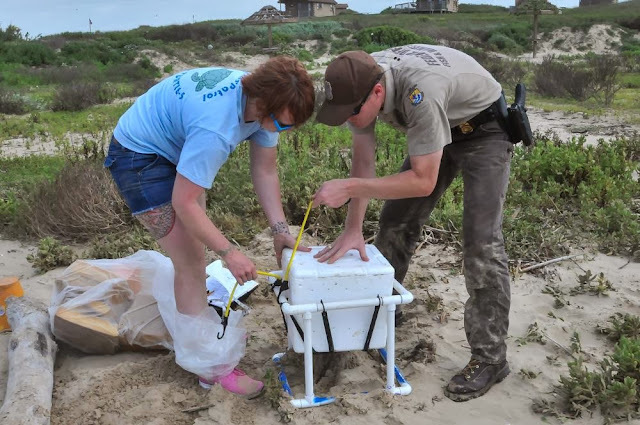 • Danielle Robisheaux, Turtle Patrol Coordinator for the 2013 breeding season. 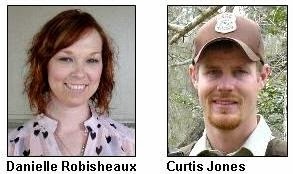 • Curtis Jones, Assistant Manager, San Bernard National Wildlife Refuge. 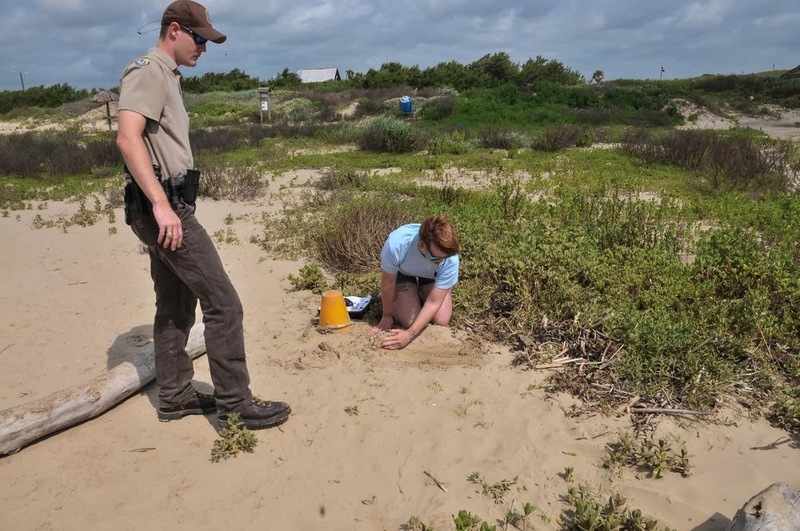 Photos by Patty Brinkmeyer, Park Supervisor, Quintana Beach County Park.